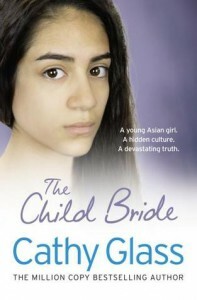 This was my first time ever picking up a book by Cathy Glass, and I managed to finish this book in about 4 hours in one sitting. I found this story to be absolutely heart wrenching, and difficult to put down, once you get into it..The beginning started off a little slow but, then picked up pace about three chapters in. About halfway through the story, things started becoming clearer, and then suddenly the revelation of, and the full horror of what has happened to this poor girl, hits the reader all at once. Cathy Glass's writing is very easy to understand and to read, it flows along easily as well. There are not a lot of unnecessary descriptions, and the chapters are rather short. Therefore, the story moves along at a nice pace. I recommend this book to anybody who enjoys reading true stories about children in foster care, and the problems that they must overcome in their lives.